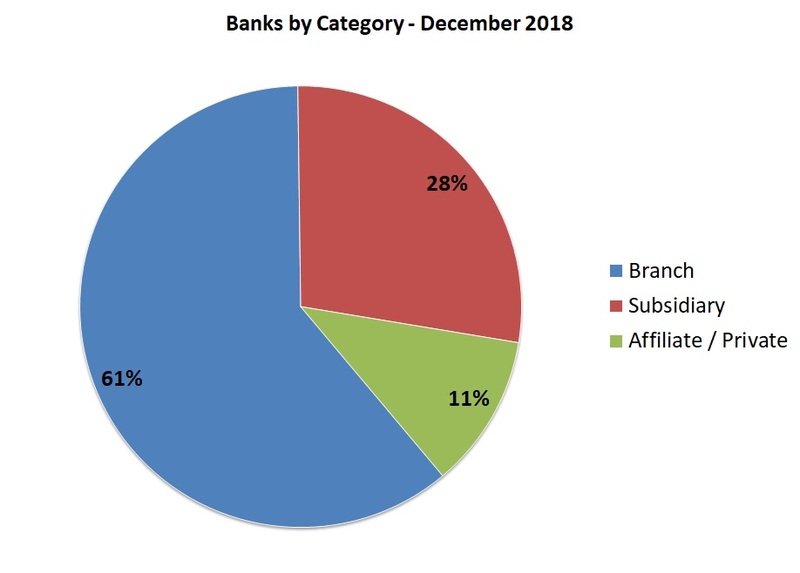 The Banking Division was responsible for the supervision of 133 banks as at the end of December 2018 (September 2018: 146 and December 2017: 148). These are comprised of 6 retail and 5 non-retail Category ‘A’ banks, and 122 Category ‘B’ banks, portraying a sound and resilient banking sector in a challenging global financial environment. 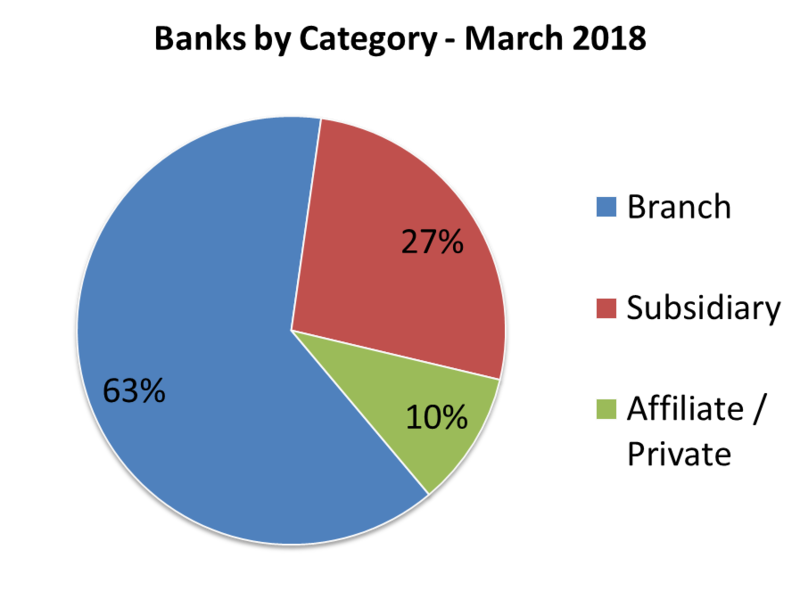 The majority of these banks are branches (81) and subsidiaries (37) of international banks from North America, Europe, and South America, as shown below. As at December 2017, total international assets and liabilities (cross-border positions in all currency and domestic positions in foreign currency) were reported as US$934 billion and US$934 billion, respectively (December 2016: US$1.04 trillion and US$1.04 trillion, respectively). 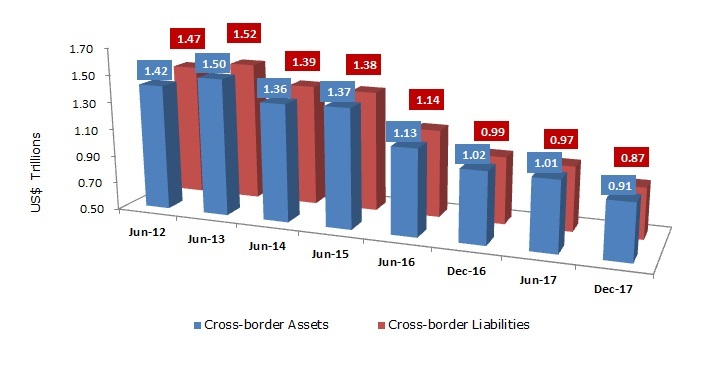 The jurisdiction is now ranked eight internationally based on the value of cross-border assets - US$915 billion (December 2016: US$1.02 trillion) - and eighth in terms of cross-border liabilities - US$874 billion (December 2016: US$985 billion), highlighting the role of the Cayman Islands as a financial intermediary. Of the international assets and liabilities booked by the 148 banks as at December 2017, US$17 million and US$58 million of assets and liabilities, respectively, were booked in the domestic economy with other legally domiciled licensed entities considered as resident entities. A reputation of sensible regulation comparable to other international financial centres coupled with a competent workforce of lawyers, bankers, and accountants, provides the base on which Cayman continues to build its clientele. Licensees represent some 45 countries from across the globe. The Cayman Islands is recognised as one of the top 10 international financial centres in the world, with over 40 of the top 50 banks holding licences here. This is a testament to the worldwide recognition of the quality of Cayman's financial Industry. 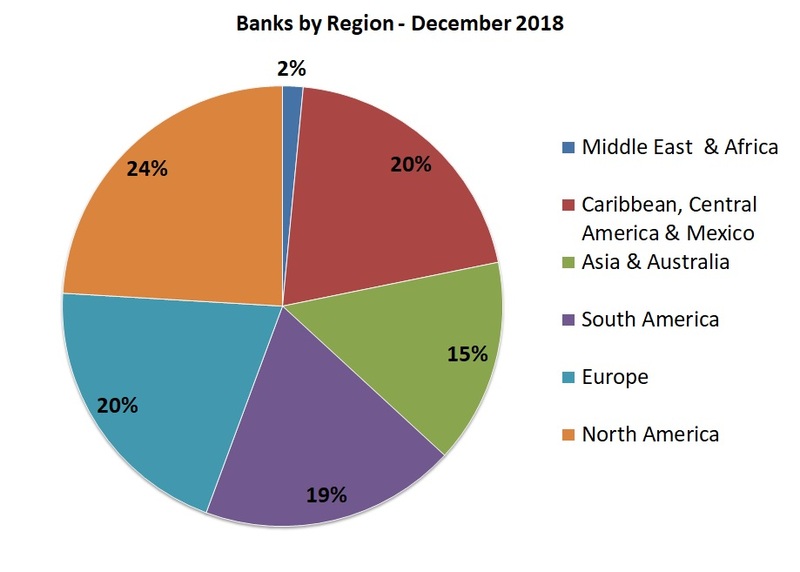 Over 80 percent of US$1 trillion on deposit and booked through the Cayman Islands, represents inter-bank bookings between onshore banks and their Cayman Islands branches or subsidiaries. These institutions present a very low risk profile for money laundering.